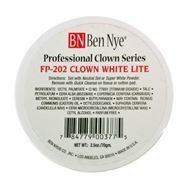 Clown White Lite's creamy, bright white formula is ideal for performers who prefer a lighter texture. 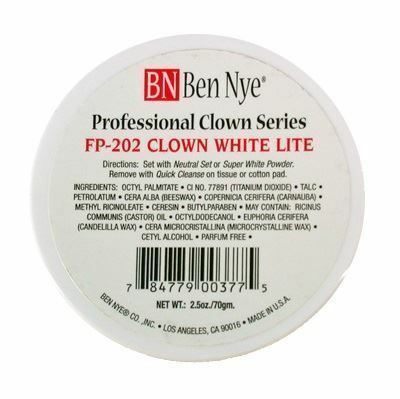 Professionals who use our Lite formula say it holds up to wrinkles and remains durable under hot, humid conditions. 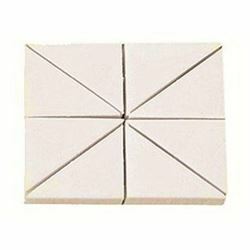 Set with Super White for a brighter white, or Neutral Set for no color. Finish with Final Seal for all-day durability. 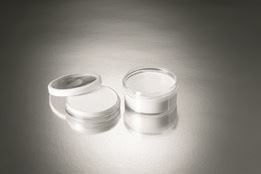 Expect 75-125 full faces per ounce. 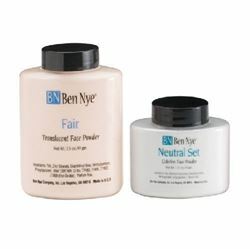 Soft and light Powders are naturally matte and durably set creme makeups. Apply to cheeks and eyes before Rouges, Shadows and Lumiere Grande Colours for smooth, even application. Expertly apply and blend cremes with Ben Nye's finely textured sponge. Synthetic, disposable. Eight die-cute wedges per block. Copyright © 2019 Studio F/X. All rights reserved.